A quality education is important for all people. Sadly, not everyone cannot afford one. Daunting expenses mean thousands of students can't pursue their educational goals every year. At 4goodhosting.com, we value education and want to help people with the finances for their higher studies. 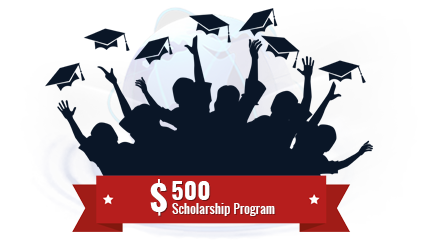 We are pleased to announce our very first scholarship “4GoodHosting $500 Scholarship Program” to assist students to achieve their educational goals. The $500 yearly scholarship will be awarded to one student for their education expenses. Further, our aim is to double this amount for next year's program. The scholarship amount is $500 and it will be awarded to one student for their education expenses. You must submit your essay on or before December 31st, 2018. All applications should be sent to scholarship@4goodhosting.com in a Word format only. PDFs or Link to Google Docs will not be accepted. You should mention your full name, your university name, phone number, and email address in the scholarship application. Make sure your essay is unique and creative. Plagiarism will not be tolerated, and if we have found that you have copied the article from some other source then your application will be immediately rejected. You should not provide any other information other than that mentioned above. After the application deadline has passed, our team will judge your essay on creativity, the value you have provided, and its thoughtfulness. The winners will be announced on January 15th, 2019 and the winner will be notified by email. Our team will manually review each article/application submitted and list the winners on this page after the deadline date.